A Jalen Rose personal appearance, Jalen Rose speaking engagement, or Jalen Rose endorsement will reflect well on your company. To hire Jalen Rose now for any corporate appearance, fundraiser, motivational speaker event, personal appearance, autograph signing, or website endorsement please contact our celebrity agents at 1-877-6-SPORTS. We will contact Jalen Rose or contact Jalen Rose's agent and provide you with the booking fees and availability immediately upon your request. Direct Sportslink is the only sports speakers bureau and talent booking agency based in the United States securing only sports talent for corporations, associations, and organizations for motivational speaking engagements, personal appearances, and endorsements. We are the premier sports celebrity booking agency and a sports celebrity procurement expert. Accordingly, we will provide you with any relevant Jalen Rose website information and booking agent details so that you can hire Jalen Rose for your next event. A star at Southwestern High School in Detroit, Rose obtained a high profile and can even be seen at a high school All-American camp in the documentary film, Hoop Dreams. 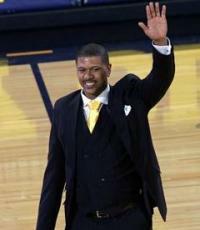 Rose attended the University of Michigan where the Wolverines reached two NCAA Finals games in 1992 and 1993. Rose was a part of Wolverines coach Steve Fisher's legendary 1991 recruiting class, dubbed the "Fab Five". He averaged 19 points per game and set the school freshman scoring record with 597 total points his first year. During his career, he racked up over 1,700 points, 400 rebounds, 400 assists, and 100 steals. Rose played for six different NBA teams, forging a solid pro career after skipping his senior season at Michigan. 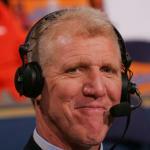 He was selected 13th overall by the Denver Nuggets in the 1994 NBA Draft. After two years with Denver, he was traded to the Indiana Pacers, where he helped the team get back on its feet after a disastrous 1996-97 season. With Rose, the Pacers would advance to three consecutive Eastern Conference Finals appearances. Rose had stints with the Chicago Bulls, Toronto Raptors, New York Knicks, and Phoenix Suns before retiring after the 2007 season. 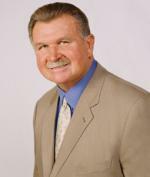 He then became a regular commentator for ESPN, giving insider perspective on games from both a player's and analyst's perspective. Rose is also well-known for his efforts off the court. He contributes to inner city youth by assiting with funding efforts to build reading centers, and also donated $100,000 towards the construction of a hospital in the Congo (spearheaded by Dikembe Mutumbo). Based on your interest in Jalen Rose as a speaker or for a personal appearance, Direct Sportslink has provided you additional links below for other sports talent with similar appearance fees, speaker topics, and categories that match Jalen Rose.